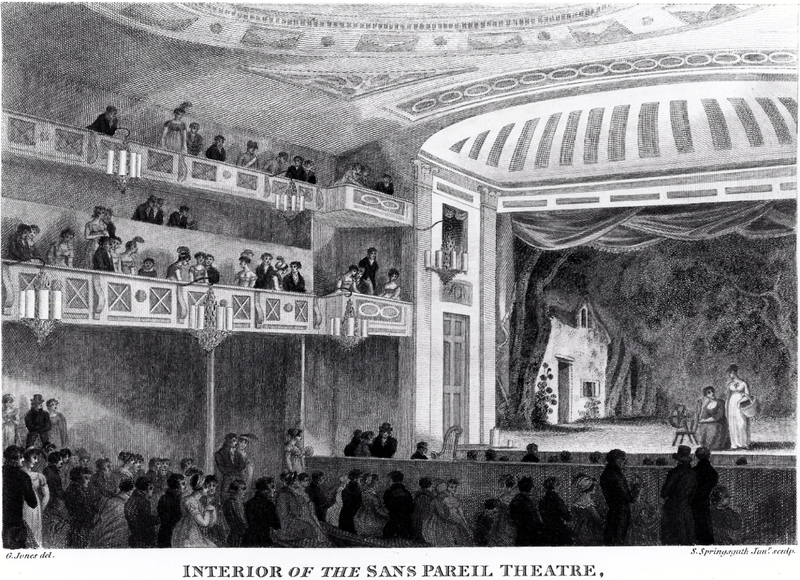 Interior of the Sans Pareil Theatre. The auditorium had two straight-sided galleries and was decorated in the Grecian taste. Galleries had been added in 1809. The house could accommodate about 1800 people (£200 a night).